Think of Motley Crue’s The Dirt but for country music. 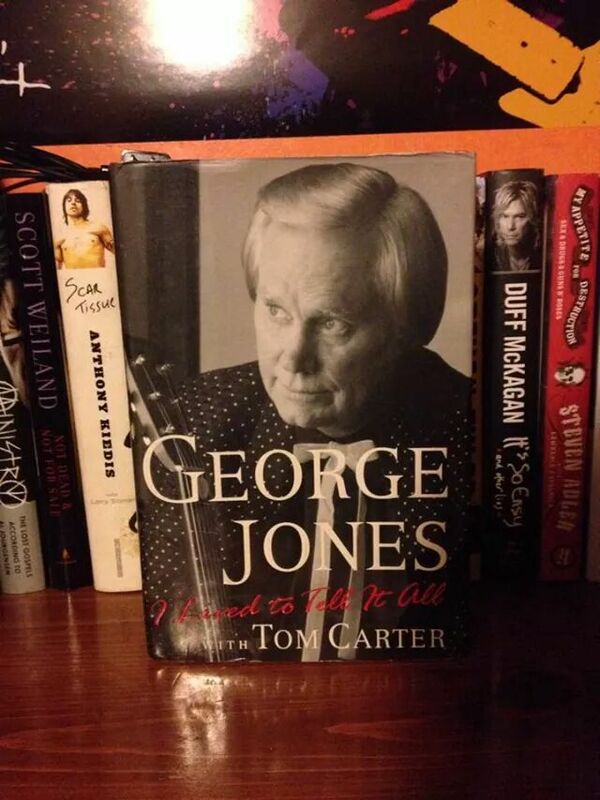 This autobiography by the late George Jones is full of many incredible stories, both happy and sad. And for a person who was a pioneer of country music, you can tell that he did it all. George Jones goes deep into his marriages and divorces, and the extremely awful things his wifes put up with. Sneaking out of the house weeks at a time to do drugs or drink, stuff that a full on alcoholic or drug addict would do, and is no secret he was both. Jones admits to everything and makes it clear that he was very ashamed of his behavior. Along the way came Nancy who was the one that pretty much saved him and stuck with him to the end. There are some shorter stories in the book like the one meeting Hank Williams Sr, how he bought a lot of cars, and sold an trade. Or coming across hitchhikers during his drunken times. Overall a really awesome book even for non country music fans. You really get a lot of insight at how the music industry, and tours were waaaay back then.